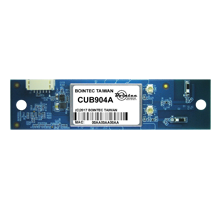 Bointec CUB904A is a WLAN module supporting IEEE 802.11 a/b/g/n standard with USB interface. It is truly a cost-effective solution for the current wireless market with the powerful performance.Besides, CUB904A possesses the dual band features and 2X2 MIMO technology (2T2R). Moreover, it can achieve the max throughput of 300Mbps based on its comprehensive modulation technique. CUB904A provides a easy design for various environment such as household appliances, industry, consumer and automobile applications. 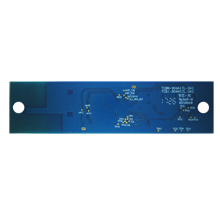 It contains two PIFA antenna on the module and reserve two RF connector for external antenna.It is convenient for all users to use two screw holes on the module in order to assemble on customer's host board or custom boards. Based on the compact size module and robust setup scheme, CUB904A provide those advantages to enhance the value of our customer's target product.In addition, CUB904A is competent solutions in critical environments. All in all, Bointec CUB904A definitely provides a comprehensive WLAN solutions based on its great features. • USA: 2.400 ~ 2.483GHz, 5.15 ~ 5.35GHz, 5.47 ~ 5.725GHz, 5.725 ~ 5.85GHz. • Non operating: 5% ~ 90% without condensation. • Under shipment: 8% ~ 90% without condensation. 5V DC +/- 9%, max.